Wiveton Hall Holiday Lets01263 740525work Self-cateringWiveton Hall is growing in popularity as the perfect holiday retreat because of its unique atmosphere and magical surroundings. There are three beautiful holiday cottages on Marsh Lane and the West Wing of Wiveton Hall which sleeps 9. They all have incredible views of the marshes and the Marsh Lane Cottages have stunning, uninterrupted views of Cley Windmill. Staying here is a rare opportunity to enjoy the peace and tranquility of this beautiful part of North Norfolk. Wiveton Hall is growing in popularity as the perfect holiday retreat because of its unique atmosphere and magical surroundings. There are three beautiful holiday cottages on Marsh Lane and the West Wing of Wiveton Hall which sleeps 9. They all have incredible views of the marshes and the Marsh Lane Cottages have stunning, uninterrupted views of Cley Windmill. 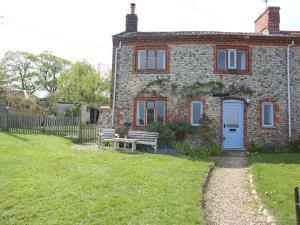 Staying here is a rare opportunity to enjoy the peace and tranquility of this beautiful part of North Norfolk. Baby Sitting available Children welcome from any age.